Nothing better than a fresh delicious salad! 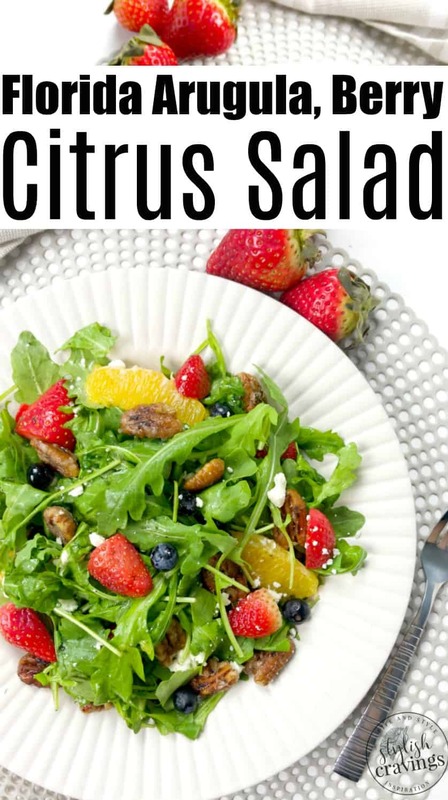 This simple Florida arugula berry citrus salad is bursting with flavor and can be served as a side salad or tossed with chicken for lunch or dinner! 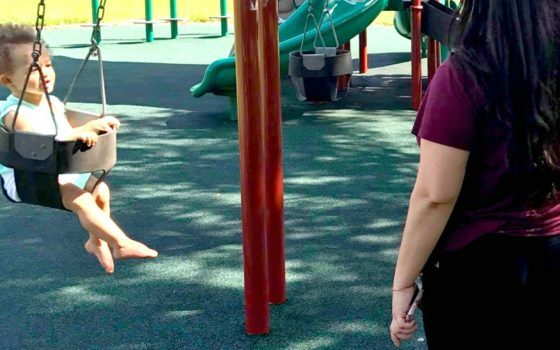 While everyone up north has been dealing with a brutal winter, down here in Florida we’ve been having spring-like temps. It’s just one of the many reasons why I do enjoy living down south! Like just this week, I made this arugula berry salad with Fresh From Florida strawberries from Publix. My diet is mainly low carb and I eat lots and lots of salads, but when I want something sweet, I always turn to fresh fruit! 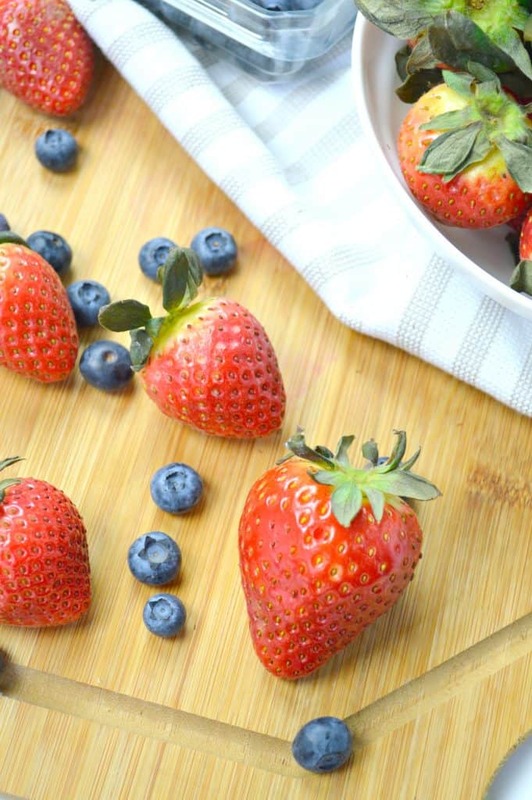 Strawberries are one of my go-to because everyone loves them and they work so well with many recipes! 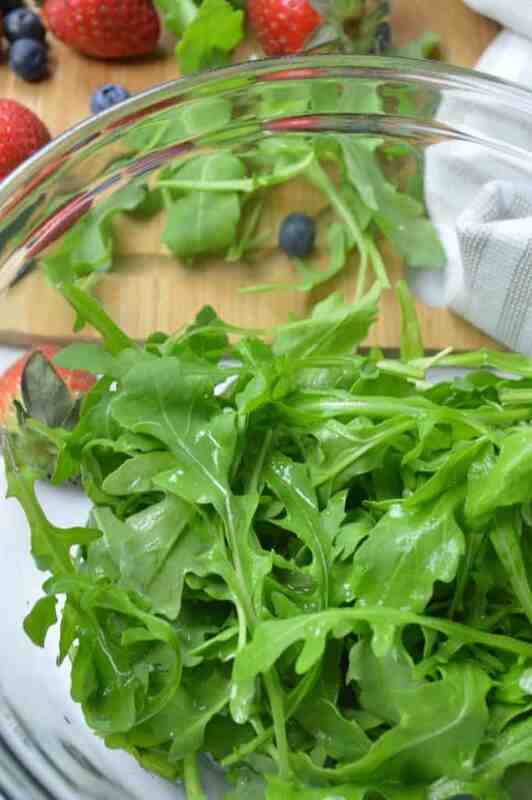 I served this arugula berry citrus salad on its own, but you can also toss with chicken and serve it with cauliflower rice, in a wrap, or served over your favorite pasta! Buying local and supporting our Florida farmers is something I always encourage! Florida farmers make it easy for everyone to eat fresh produce year-round. 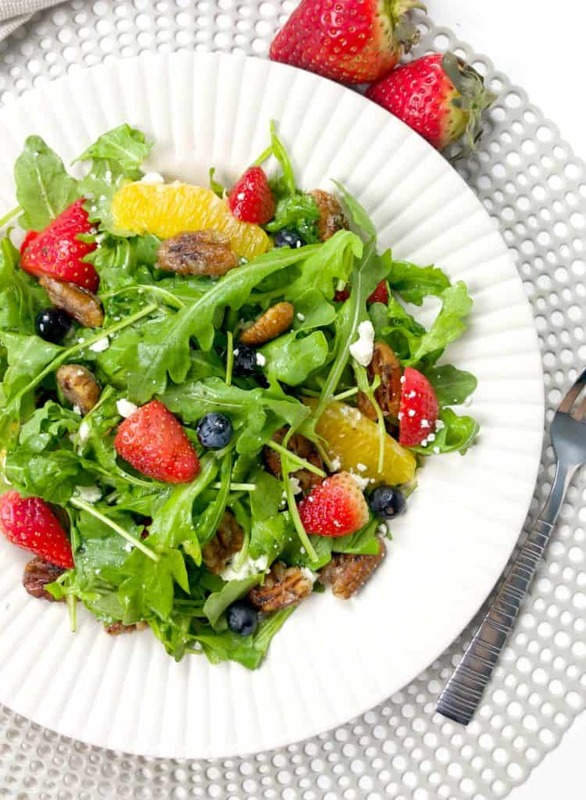 Since strawberries are now in season in Florida, this arugula berry citrus salad is a delicious way to use those fresh and versatile Fresh From Florida strawberries! There are tons of recipes where you can use strawberries, but I decided to make a Fresh From Florida recipe right from their website. 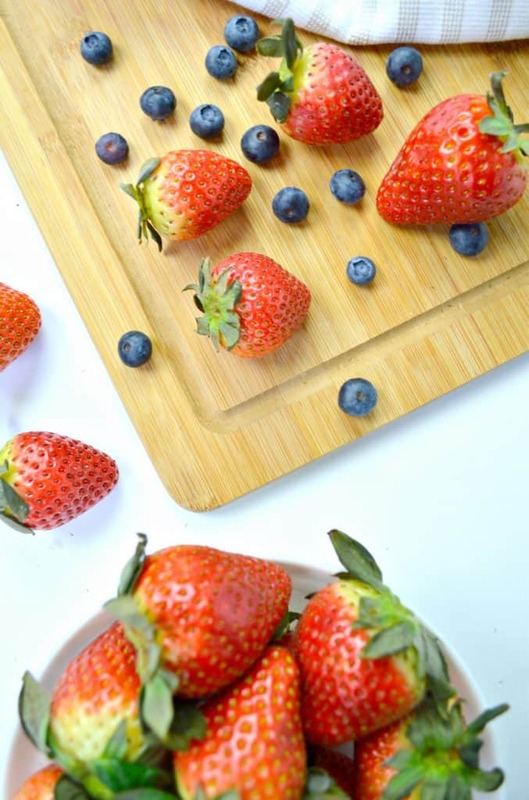 There’s so many easy recipes that you can recreate at home with strawberries as well as tons of others fresh fruit and vegetables by Fresh From Florida. 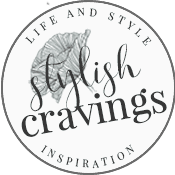 Click here to see the selection of strawberry recipes or click here to visit the Fresh From Florida website! Preheat a pan on medium heat. 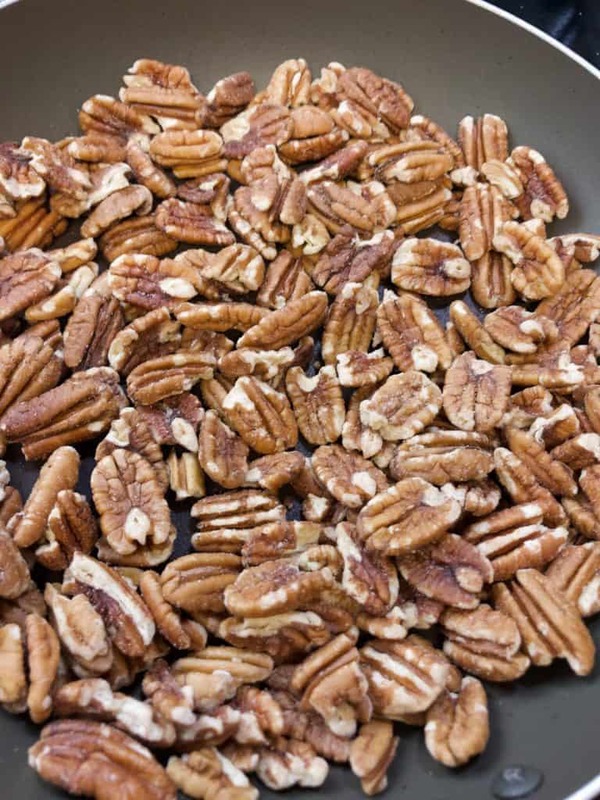 Add the pecans and toast until fragrant, 6 to 8 minutes. Add butter, sugar, and salt; stir to coat. Remove from pan and allow to cool. In a medium-sized mixing bowl add arugula, lemon juice, olive oil, salt, and pepper; toss to combine. 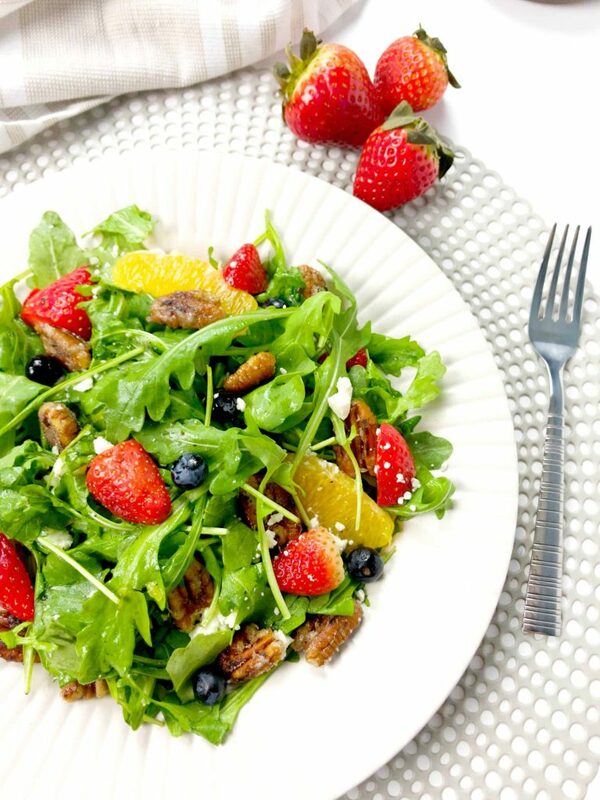 Plate the dressed arugula and evenly add the citrus and berries around the greens. Add the goat cheese and garnish each salad with candied pecans, serve chilled. 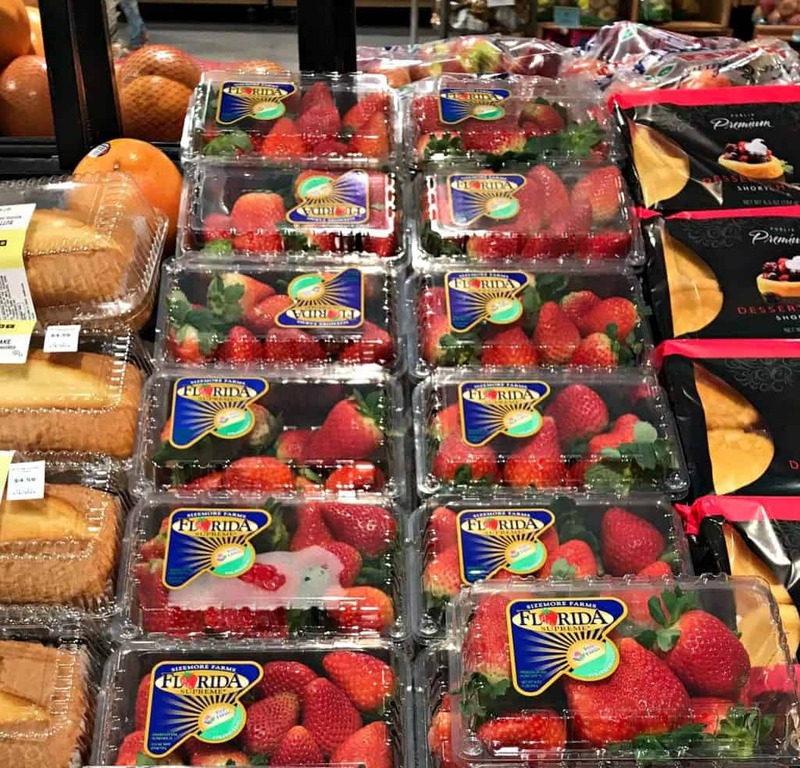 Look for food, produce, seafood, and especially your strawberries labeled Fresh From Florida. 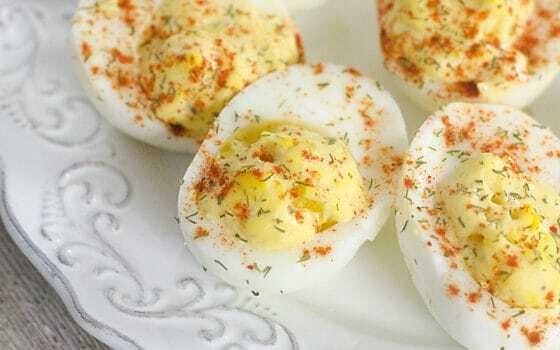 Follow Fresh From Florida on Twitter, like on Facebook and Instagram to check out their fresh recipe videos!